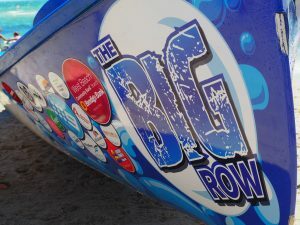 2019 is the Henley SLSC’s 13th Big Row, an annual fundraising event. The public are invited to gather on the beach to welcome home to an amazing group of surf life savers after rowing one of the club’s surf boats 68km across the Gulf St.Vincent, an epic 8 hour physical open water journey from Stansbury to Henley Beach. This event helps raise crucial funds that will all go towards maintaining and upgrading the club’s life saving equipment and clubhouse. Photos from the 2019 event here.